Birthplace : Cleveland, Ohio, U.S.
Jerry Siegel (also known as: Jerome Siegel) born October 17, 1914 in Cleveland, Ohio - died January 28, 1996 in Los Angeles, California is an American author and writer. Jerry Siegel, along with his boyhood friend Joe Shuster, was the creator of Superman, one of the most enduring characters of American pop culture. As writer Harlan Ellison pointed out, Superman is "the twentieth-century archetype of mankind at its finest." Originally conceived as a newspaper comic-strip by Siegel and artist Shuster, "Superman" met with little interest from syndicate editors and was eventually re-formatted into comic book form. Making his first appearance in Action Comics number one in 1938, Superman was an immediate success. Siegel and Shuster, who had signed away their rights to the extremely profitable character for one hundred thirty dollars, would work for another decade with National Publications. Their relationship with the publisher soured after the duo filed an unsuccessful lawsuit in 1948 to recover a bigger share of Superman's profits. Siegel and Shuster were fired and their names were removed from the strips in Action Comics and Superman Comics going to press. Although Siegel would go on to script many more comic books stories for numerous other publishers, his career never again achieved the level of success it had attained during the 1940s with his work on Superman. Siegel thought up the character of Superman one night in 1934 when the young Cleveland high-school graduate couldn't sleep. He was, as he later recounted in a Time magazine cover story celebrating Superman's fiftieth anniversary, lying awake thinking of girls that he wished would date him and imagining that if he had some special power they would do so. The character took shape partly out of the popular culture images of heroes such as Tarzan, Buck Rogers, and Flash Gordon; partly, perhaps, out of the hero of the 1930 novel, Gladiator, by Philip Wylie; partly too, perhaps, from the use of the word "superman" by German philosopher Friedrich Nietzsche and Irish playwright George Bernard Shaw. Whatever the ancestry of Superman, he became an original character in his own right, with traits and a history almost every American youth, in more than one generation, could recite by heart: babyhood on the planet Krypton; transit to Earth by his scientist father when Krypton exploded; boyhood with an old couple named Kent in Smallville; adulthood as mild-mannered newspaper reporter Clark Kent in Metropolis; romantic possibilities with colleague Lois Lane; opposition by villain Lex Luthor; and vulnerability to Kryptonite. These traits accumulated gradually around Superman over the years, and indeed many of the secondary details, such as Superman's virginity or lack thereof, would be changed back and forth; Superman was even killed in 1992, and resurrected shortly afterward. Superman's legend has become such that a copy of Action Comics number one, originally priced at ten cents, was auctioned at Sotheby's in June, 1995, for over seventy-five thousand dollars. According to the World Encyclopedia of Comics, Superman is "unquestionably the most lucrative character ever to appear in comic books." In the view of an Economist contributor, Superman is "second perhaps only to Mickey Mouse in imaginative renown." A seventeen-episode animated series, made by the legendary Max and Dave Fleischer, was produced by Paramount in 1941 and revived on videotape in 1993; there have been several more recent movie, radio, and television series, and a Broadway musical in addition to the comic books, newspaper comic strips, and related merchandise. While Siegel and Shuster were paid decently for their work on Superman, compared to rates usually paid to comic book writers and artists during the 1940s, they became disgruntled over DC Comics' handling of the character. They had sold all rights to Superman for one hundred thirty dollars when they had first approached the publisher, but sued the company in 1948, contesting their share of the phenomenal revenue being generated. The pair also challenged ownership of the character Superboy, whom they had created in 1944. Immediately fired by National Comics, Siegel and Shuster saw their names removed from the comic strip. The court ruled against them, except in the case of Superboy. "With neither party happy over the rulings, Siegel and Shuster agreed to a settlement in which DC paid them $94,013.16. In return, they abandoned claims to Superboy and once again signed away their rights to Superman," stated Michael Catron in the Comics Journal. However, as Catron noted, "a key point not specifically addressed . . . was the matter of who was entitled to renew the original Superman copyrights when they became eligible for renewal in 1966. That oversight set the stage for a later court battle." In fact, Siegel and Shuster sued DC again in 1969, claiming they had the right to renew the copyright. The case dragged on until 1976, when Warner Communications (who now owned DC Comics and was planning to make a movie about Superman) agreed to grant the pair an annual stipend of twenty thousand dollars a year and medical insurance, for life. According to Catron in the Comics Journal, "the amount of [Siegel and Shuster's] payments from Warner was raised quietly over the years. When Shuster died in 1992, he was reportedly receiving eighty-five thousand dollars. A Reuters report placed Siegel's annual stipend at his death at `six figures.'" Following his dismissal from DC in 1948, Siegel went to work for other comic book companies, becoming comics director at publisher Ziff-Davis during the early 1950s. As a freelancer Siegel wrote prolifically for other comic book publishers. In 1959 he quietly and anonymously went back to work for DC as a writer on the Superman family of titles. "His reunion with Superman was far from a joyous one," Catron commented in the Comics Journal, quoting a 1962 letter from Siegel to Shuster: "As you know, I am doing a lot of scripting for Superman again on a freelance basis . . . at a fraction of my former script rates (I get no royalties at all), but though I work hard, I get a lot of scorn, belittlement and hot-tempered abuse." Siegel complained about the poor treatment he received from the editor in charge of the Superman titles. "This is really making a buck the hard way, but it's the only way I can support my family," he concluded. Actor and writer Bill Mumy spoke out about Shuster in the Comics Journal: "More than anyone I've ever known, Jerry Siegel deserved to have lived a richer life. As the co-creator of one of the most universally recognized and loved images that this planet has cherished for more than fifty years, he received little of the fame and fortune he was due." Siegel died in 1996 of heart failure, and his death made headlines internationally. In the Economist, a contributor remarked that "seldom has so powerful and popular a legend had such an identifiable author or so dateable a birth." Born October 17, 1914, in Cleveland, OH; died of heart failure, January 28, 1996, in Los Angeles, CA; married Joanne Carter, 1948. Education: Graduated from Glenville High School (Cleveland, OH). Military/Wartime Service: U.S. Army, 1943-46; served as a reporter for Stars and Stripes.. Comic strip writer. Cosmic Stories (first science fiction fanzine), founder, 1929; Science Fiction (science fiction fanzine), co-creator (with Joe Shuster), 1932; co-creator (with Shuster) of the comic book character Superman, 1934 (one source says 1933); first published work as a comic artist was an advertising supplement for Cleveland Shopping News, 1936; sold Superman character to DC Comics, 1938. Later worked on many comic strips, including Superman, Funnyman, Reggie Van Twerp, Ken Winston, and Tallulah. First comic-book director for Ziff-Davis Publications, c. early 1950s; later worked at various jobs in Los Angeles, CA, including mail clerk. * Creator (with artist Joe Shuster) of Superman and Superboy, and author of numerous "Superman" and "Superboy" comic book stories, all published by DC Comics, 1938-43, 1946-48, and 1959-66, including Superman's origin and debut in Action Comics, no. 1, June, 1938, and stories appearing in Superman Comics, New York World's Fair Comics, Adventure Comics, and Superboy. Creator (with artist Bernard Bailey) of The Spectre, and author of "The Spectre" comic book stories, including The Spectre's debut in More Fun Comics, no. 52, February, 1940. Creator (with artists Bill Smith and Stan Aschmeier) of Red, White, and Blue, and author of "Red, White, and Blue" comic book stories, including Red, White, and Blue's debut in All-American Comics, no. 1, April, 1939. Creator (with artist Hal Sherman) of The Star-Spangled Kid and Stripesy, and author of "The Star-Spangled Kid and Stripesy" comic books stories, including their debut in Action Comics, no. 40, September, 1941. Creator (with artist Leo Nowak) of Robotman, and author of "Robotman" comic book stories, including Robotman's debut in Star-Spangled Comics, no. 7, April, 1942. * Creator (with Joe Shuster) of Funnyman, and author of "Funnyman" comic book stories, including Funnyman's debut in Funnyman, no. 1, January, 1948. * Author of comic book stories in titles published by Ziff-Davis, c. early 1950s including Amazing Adventures, Lars of Mars, G.I. Joe, and Kid Cowboy. Author of comic book stories published by Toby, Farrell, and Prize. Creator of comic book characters Nature Boy, Zara the Mystic, and Mr. Muscles for Charlton Publications. Author of comic book stories for Archie Comics, 1964-66. Author of comic book stories featuring the Phantom and Mandrake the Magician for King Comics, Woody Woodpecker for Western/Gold Key, and X-Men for Marvel Comics, c. late 1960s-early 1970s. Author of comic book stories for the English publisher Fleetway and the Italian publisher Mondadori. Contributor of satirical stories to Cracked and Lunatickle. * High Camp Super Heroes, Belmont, 1966. * (Contributor) Superman from the 'Thirties to the 'Seventies, Crown (New York, NY), 1971. * (With Joe Schuster) Lois and Clark: The New Adventures of Superman, DC Comics (New York, NY), 1994. * (With Schuster) Superman Archives, DC Comics (New York, NY), 1994. * (With Schuster) Superman: The Dailies: Featuring Strips 1 through 966, January 16, 1939 to February 4, 1942 DC COmics (New York, NY), 1998. * (With Schuster) Superman: The Sunday Classics, DC Comics (New York, NY), 1998. * Superman: Tales of the Bizarro World, DC Comics (New York, NY), 2000. Author of article in Inside Comics, c. 1976, on litigation to obtain rights to Superman character. The character of Superman was adapted into a Mutual Radio Network radio series, beginning 1940; seventeen cartoons directed by Dave Fleischer, beginning 1941; the novel The Adventures of Superman by George Lowther, 1942; the film serials Superman, Columbia, 1948, and Atom-Man vs. Superman, Columbia, 1950; the feature film Superman and the Mole Men, 1952; the television series The Adventures of Superman, starring George Reeves, 1953-58; the musical It's a Bird . . . It's a Plane . . . It's Superman!, produced on Broadway, 1966; the cartoon series The New Adventures of Superman, CBS, 1966, The Superman/Aquaman Hour, CBS, 1967, and The Superman/ Batman Hour, CBS, 1968; films starring Christopher Reeve, including Superman, 1978, Superman II, 1981, Superman III, 1983, and Superman IV, 1987; the television series Superboy, syndicated, 1988-92; the cartoon series Superman, CBS, 1988-89; the television series Lois and Clark: The New Adventures of Superman, ABC, 1993-97; the animated series Superman, Warner, 1996--; and toys and merchandise, including the Superman Krypto-Raygun (which projects movies on a wall), c. 1940, and a Superman hood ornament for automobiles. 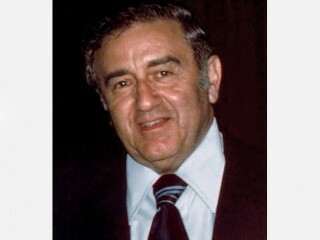 View the full website biography of Jerry Siegel.